If you have been charged with a domestic violence, your freedom could be in jeopardy and you need to contact a domestic violence lawyer right away. I am Brandon Marinoff, Attorney at Law. I have an exceptional background in criminal defense and have handled numerous domestic violence cases. You deserve the best defense possible. As a former prosecutor, I understand exactly what the prosecution is looking for and I know how to defend against your situation. With my experience, knowledge of the law and adept trial skills, I will work hard to minimize the consequences of your situation. The Law Office of Marinoff & Associates, P.C. can handle your domestic violence defense. Located in Westminster, my law firm serves clients in Denver and throughout Colorado. Often times individuals believe that domestic violence only occurs between spouses. That is not the case. For a crime to be classified as domestic violence, the victim must have a certain relationship with the offender, including family members, someone you lived with, former spouses or current spouses, individuals with a child in common and even roommates. If you are facing domestic violence charges, it would be smart to take those charges seriously. You are potentially facing probation, jail time, counseling, parenting programs, a prohibition on owning a firearm and an order of protection. An order of protection is essentially a no contact order that requires you to stay away from the victim. Any contact with the victim can result in additional charges. That is why it is crucial that you have a domestic violence attorney to assist you in handling your charge. If you have been charged with a domestic violence offense in Colorado, it is important to contact a lawyer as soon as possible. Contact my law firm online or by calling (303) 280-8166. Call now for your Free Consultations! Colorado Criminal Defense and Immigration Issues. Our office will provide consultation to discuss the circumstances of your case and determine what options may be available for you. Please call or email us to request an appointment. 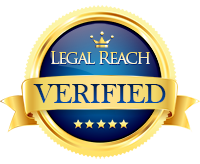 Criminal Defense Attorneys and Immigration Attorneys. All Rights Reserved. 12207 N. Pecos St. Suite 700 | Westminster, CO 80234 | Call 720-621-7635 - Se Habla Español!